← With wild cat designs comes love, passion and jealousy !! I am cleaning up and organizing all my stuff from 5 different places into a few plastic containers. Pictures, art, writing and miscellaneous important stuff. The Punk Rock stuff goes somewhere special too. Here is a miscellaneous punk shot from 1981… we had a multitude of images like this in the Flipside office. Along with a multitude of T-shirts, I should have saved them all. Well here is one. 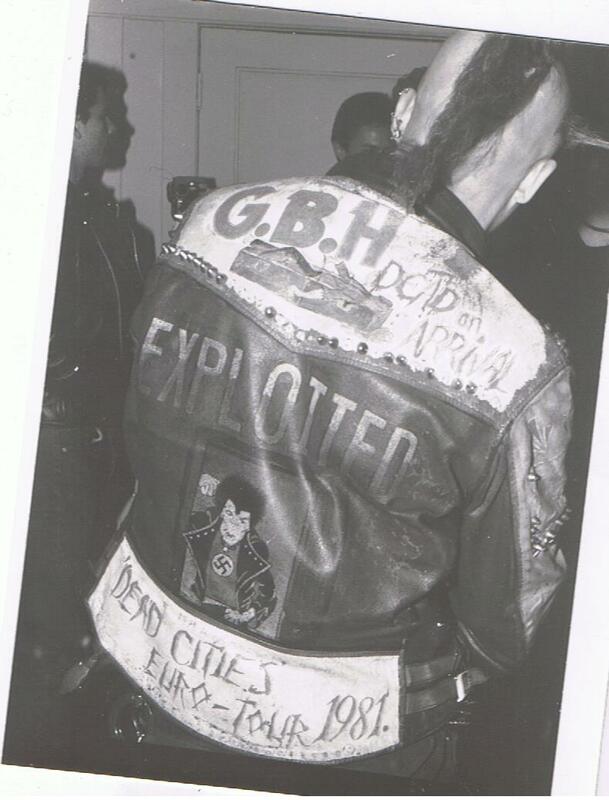 This entry was posted in PUNK NO-stalgia :Punk Rock and tagged Charged GBH, Dead Cities EURO Tour 1981, entertainment, Exploited, Flipside Fanzine, GBH, Hudley Flipside, Old School Punk Rock, Pictures, plastic containers, postaday, PUNK NO-stalgia :Punk Rock, punk rock music, Punk Rock stuff, Punk Shot, saved, Underground. Bookmark the permalink.